The collapse of the Ottoman Empire is a key event in the shaping of our own times. From its ruins rose a whole map of new countries including Turkey, Iraq, Syria, Lebanon, Jordan, Saudi Arabia and the perennially troubled area of Palestine as well as the Balkan lands - states which were to remain flashpoints of international tension. 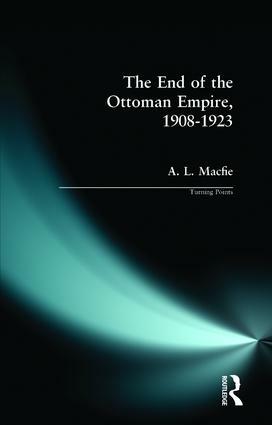 This thoughtful and lucid volume considers the reasons for the end of the Ottoman Empire; explains the course of it; and examines the aftermath. 1. The Young Turk Revolution of 1908. 3. Politics, Constitution, Rebellion and War. 5. The Great Powers and the Ottoman Empire. 6. The Entry of the Ottoman Empire into the First World War. The Ottoman Empire in the First World War 1914-1918. 9. The Armistice of Mudros. 10. The End of the Ottoman Empire. 11. The Peace Settlement and the Minorities. 12. The End of the Committee of Union and Progress.